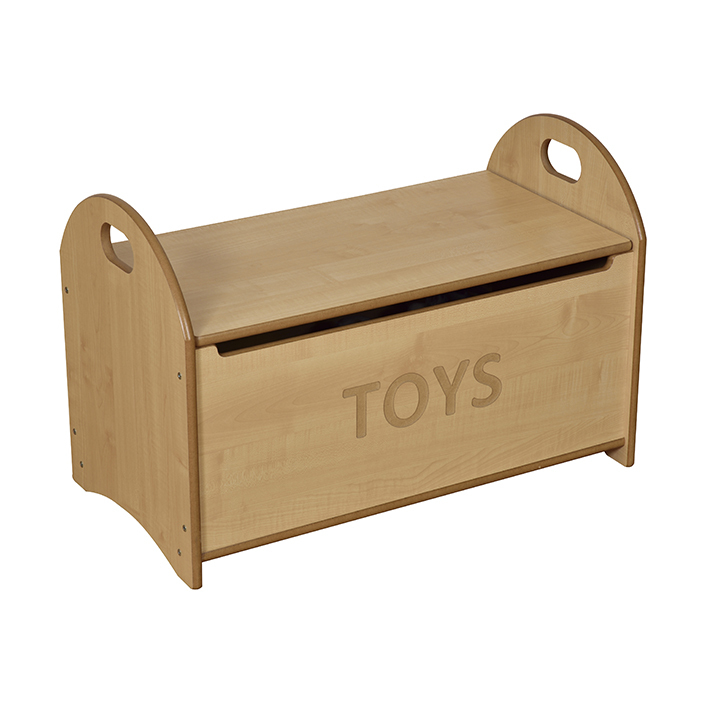 This quality large capacity Toy box has been designed to withstand the rigours of daily use in any children’s play area. It has a safe soft close clasp and features rounded bull nosed ends for extra safety. Ends have rounded hand holes for easy lifting and carrying. 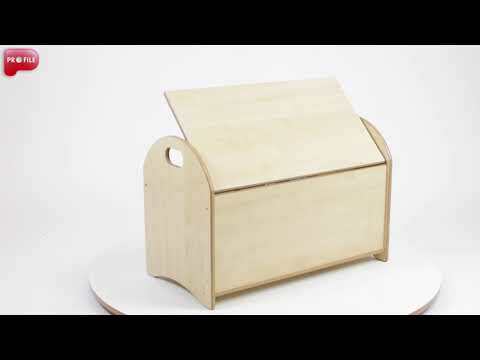 Manufactured from 15mm MDF with bull nosed edges and polished for safer play (no sharp edges).